Happy New Year everyone! 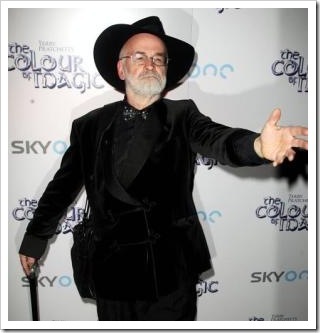 The good news for the New Year is that Terry Pratchett has been recognised in the New Year’s Honours List with a knighthood. "There are times when phrases such as ‘totally astonished’ just don’t do the job. "I am of course delighted and honoured and, needless to say, flabbergasted." Sir Terry is best known as the author of the popular Discworld series of comic fantasy novels. Early in 2008 Terry was diagnosed with Alzheimer’s disease, and has since campaigned to increase awareness and understanding about the disease. The award is for services to literature and complements the OBE that Sir Terry already holds. Via: BBC [^], The Independent [^]. Posted in: General Links, Links, News.